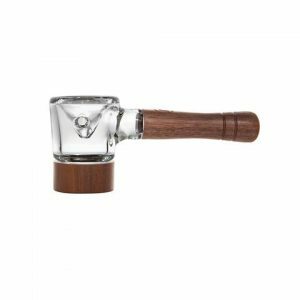 The Budbomb is a great little pipe for your day to day smoking. It’s small enough to go unnoticed in your pockets but still, manages to pack a serious punch. Only 4 parts make up the Budbomb. There’s the mouthpiece, bowl, main chamber and the internal cooling system. 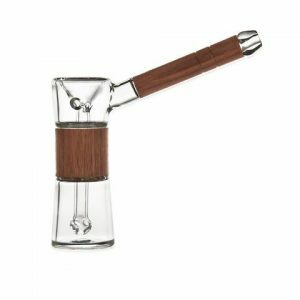 Each time you pull a hit through the main chamber it is spiraled around the cooling system to give you an extra smooth hit. Weighing only 250g and just 2.75 x 0.6 inches (7 x 1.5 x 1.5 cm) this is built for those who want to be discreet. 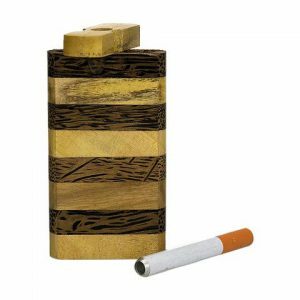 It can easily fit into a bag or pocket when you want to smoke on the go. 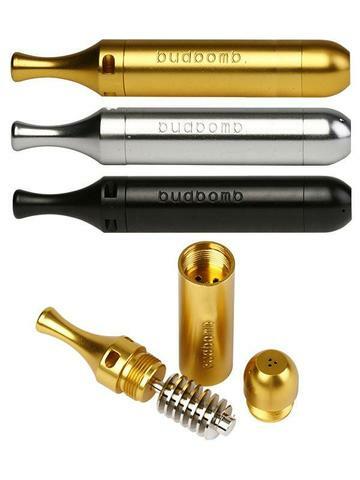 Keeping your Budbomb clean is as easy as it gets thanks to simply 4 piece design. The whole pipe can be stripped down giving you access to every part, so there’s now no excuse for a dirty pipe. You can wash it using water and isopropyl alcohol for those tougher buildups. You’ve got a choice 3 sweet finishes to choose from in the drop down list. There’s a metallic gold and silver for those who like precious metals and gunmetal black. Each comes with the Budbomb logo embossed down the length of the body.